Levels 2 & Up. All Regions DVD. 58 minutes. 14 exercises. 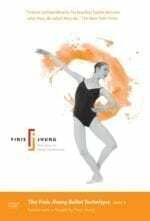 Finis Jhung and Glenn Keenan of The New York City Ballet take you to Level 3 with barre exercises that expand your range of movement and balance as you work from one standing leg to the other. Certain exercises are timed to quicken the working leg and foot, while demanding stability on the supporting side of your body, as well as your standing leg and foot. 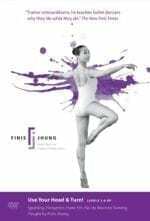 Attention is paid to the use of head and arm movements which help maintain balance as well as the total look of classical ballet dancing. 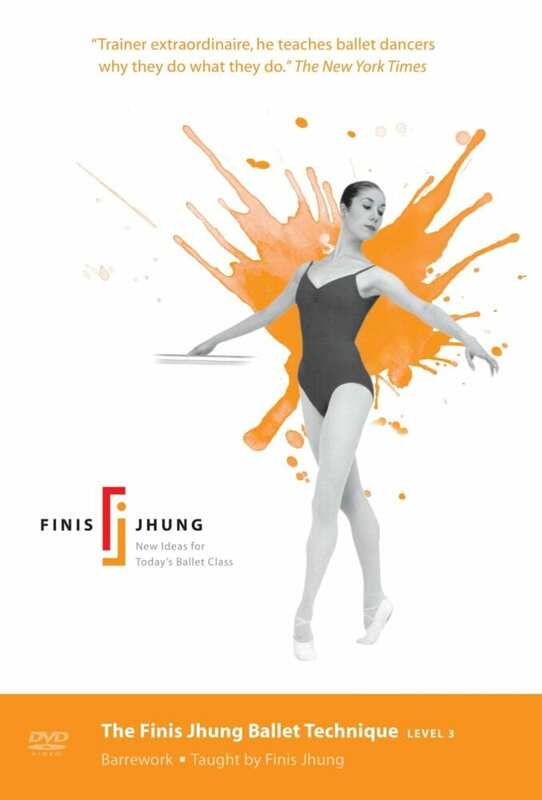 Throughout each exercise, Finis stands by and coaches Glenn step-by-step, providing detailed instructions and the mental images that help develop the flow of movement that signals balletic artistry. This barre will prove invaluable to both students and teachers. And, the extraordinary orchestrated music of Scott Killian makes it a unique experience. “FJ Technique Level 3 Barrework is really for folks who 1) started as adult learners and have had adult learning classes for some time now and are looking to advance their skills to the advanced intermediate level; and 2) people who have had extensive dance training previously who are looking to refresh their skills and conditioning. The key here is form. A certain level of dance comprehension is presupposed. If you do not have a dance vocabulary, you might end up hurting yourself with bad form and poorly executed rond de jambes, tendues, etc. “This is not a snazzy, hip or ‘cool’ production; it is rather old school with the camera in a stationary position at an angle and never moving. You do not get zoom in’s though the camera is close enough to see detail and FJ is excellent at describing things like turnout and placement. The footwork is not fancy; these are barre combos. This is meant to mimic a real, quality ballet class barre component. As such, it is true to life, and very very slow. Any non-dancer or absolute beginner will look at this and think, “piece of cake.” However, if you pay attention to form, and you really must, you will benefit from extreme strength training and conditioning. The attention to detail FJ provides his students is quite good, he is encouraging and really pays attention to form. “As with all true ballet classes, this class is anything but fast paced. It is slow, steady and precise. All as it should be. This DVD is clearly not for everybody; it is really geared towards people who are concerned with form. If you are looking for a cardio experience, this is not it. — Ian Jackson, developer of the Acousticoaching™ CDs for the ballet-inspired BreathPlay System.